A coach is indispensable to the serious athlete — everyone from Olympians to up-and-coming youth athletes needs experts who can spot the strengths and weaknesses of an athlete’s style and cater to their personal needs. But now AI systems are almost sophisticated enough to do the job just as well as — better in some ways — than the old human experts. HomeCourt, an iPhone app that basketball players can use to track their shots, might be the first of its kind. If the phone’s camera is propped up and aimed at them while they practice, the app will track the position and success rate of each throw. As The Wall Street Journal reported, the free app offers users real-time feedback, complete with an automatically-spliced video recording of every single shot the athlete takes so they can check their form. At least, it does for 300 shots per month — more than that, and a user is prompted to pay $8 for a subscription. There are other apps that coaches and athletes use, of course. Coach’s Eye, for instance, lets athletes review and annotate their footage. But while many of them help athletes film themselves, none use AI to help improve performance. Without an expert there to review the footage, these athletes may not even know what they’re looking for. 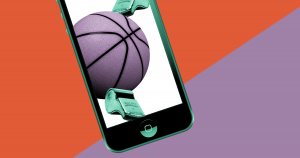 HomeCourt isn’t yet as sophisticated as a real-life human coach — right now, the app’s AI gets confused if there’s more than one person on the court. But David Lee, the Co-Founder and CEO of NEX Team, the company behind HomeCourt, is optimistic for how AI will be able to serve athletes in the future. 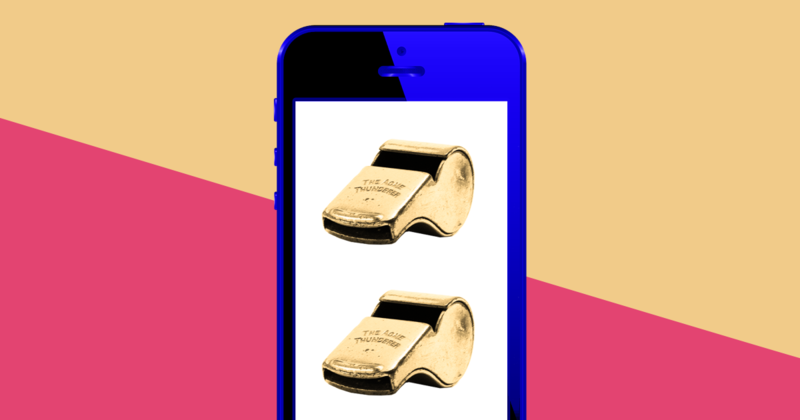 “In the future, we believe we can provide a platform where coaches and trainers can be actively training and coaching their players through the app from anywhere, anytime,” Lee told Futurism. He added that some athletes are already using HomeCourt to work remotely with their coaches when one of them is on the road. That way, athletes can get feedback from coaches based on what the AI saw during a solo practice session. HomeCourt’s AI, rudimentary as it might be, represents an important first step. Artificial intelligence and apps — cheap compared to the elite coaches that kids are expected to hire if they want to break into travel leagues or thrive in a highly-competitive sport — could democratize the way that people can train and improve. HomeCourt’s AI, rudimentary as it might be, represents an important first step. Artificial intelligence and apps could democratize the way that people can train and improve. In the future, Lee plans to make the app capable of new measurements so it can glean even more about a player, some of which a human coach can’t readily discern. For basketball players, HomeCourt would look for things like jump height, speed, and release time, and analyze how each factor plays a role in an athlete’s accuracy. He also hopes to bring the HomeCourt’s level of analysis to other sports. Tennis might be a natural next step, since the court is similarly marked with clear lines that help the AI gauge where people are standing. But other sports and activities may see AI coaches in the near future as well. Even some unconventional ones like yoga. While having your smartphone film you while you stretch and balance may ruin yoga’s relaxing elements for some, AI could be a great learning tool for the many yoga practitioners who only do yoga at home, instructed by a video. Once people get the fundamentals down, they would presumably be able to unplug and enjoy yoga’s meditative side. Whether or not HomeCourt (or a similar AI system) reaches a given sport, it’s clear that sports technology is becoming more sophisticated than ever before. Athletes and coaches have access to an incredible amount of analytics and data, which helps them find more specific ways to improve their games in ways that wouldn’t have been imaginable in the past. The key to improving sports through AI, of course, is to make sure that these technologies are available to everyone. Otherwise, tools like HomeCourt will only help the privileged few who already had access to the best tools. While the premium membership to HomeCourt isn’t unaffordable for most, it’s yet another subscription to keep track of. Meanwhile, the price tags for other advanced sports technology can easily climb into the triple digits, or even higher. It’s easy to wonder whether these high-tech systems can really deliver on the promise to bring competitive sports to people who have been historically priced out. Until more competitors arrive to the artificial intelligence coaching space, we may have to wait and see. While one can’t expect one company like HomeCourt to solve the problems of wealth inequality in sports, what we can all hope is increased outreach to make sure that those who would actually benefit from smarter sports tech actually get to use it.